The most common form of triple-double is made up of points, rebounds, and assists. Chamberlain retired as the all-time leading scorer and rebounder, and remains the top rebounding machine ever...Had blocks been a recorded stat during that time, Chamberlain would have been putting up triple-doubles all over the place. 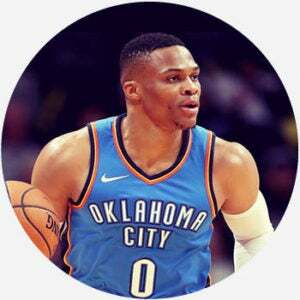 Russell Westbrook tallied his 42nd triple-double on Sunday night, breaking the season record set by Oscar Robertson in 1961-62 with the Cincinnati Royals. Westbrook’s 50-point, 16-rebound, 10-assist performance in the Oklahoma City Thunder’s 106-105 comeback win over the Denver Nuggets included a 3-pointer at the buzzer. Where does triple-double come from? Although basketball was invented in 1891, triple-doubles were not recorded until around 1980. Both Harvey Pollack, a statistician for the Philadelphia 76ers, and Bruce Jolesch, the public-relations director for the Los Angeles Lakers, have been credited with coining the term triple-double. In the following years, the stat became well-known to basketball fans and more familiar to the general public. A Spectator’s Guide to Basketball explained the triple-double alongside other basketball terms. In 1986, The New Yorker and a book on Magic Johnson and Larry Bird both described the term for readers. The following year, a book titled 101 Greatest Athletes of the Century noted that 1960s NBA player Oscar Robertson would, retroactively, hold the all-time triple-double record. From starting out as a somewhat obscure stat, the triple-double became known as a “benchmark of virtuoso versatility” by The Economist and a “common measuring stick” by The Denver Post. The number of triple-doubles achieved in a season has sharply increased in contemporary basketball. Sports Illustrated notes that from 1990–2011 there were around 30 per year. In 2018, there were 108. 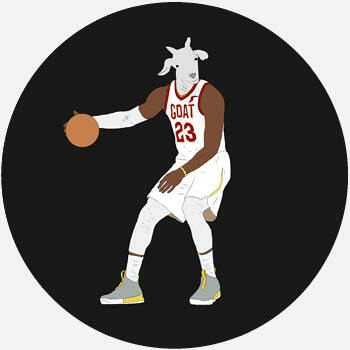 This led sports news website SBNation to declare that we are “living in the golden age of triple doubles,” but others have criticized the triple-double as an overrated measure of talent and performance. Although a triple-double is typically made up of points, assists, and rebounds, some have also been recorded that include blocks or steals in lieu of one of the other categories. In addition to the triple-double, double-doubles (double digits in two categories) and quadruple-doubles (double digits in four categories) are also recorded. Only four quadruple-doubles have been recorded in the NBA. According to the San Fransisco Chronicle, Wilt Chamberlain may have achieved a quintuple-double before such stats were recorded. No quintuple-double has ever been officially recorded in the NBA. Two have been recorded in high-school basketball, one by Tamika Catchings, who went to play in the WNBA.